Find friends, dates, & more! The Bro App (BRO) is amazing. 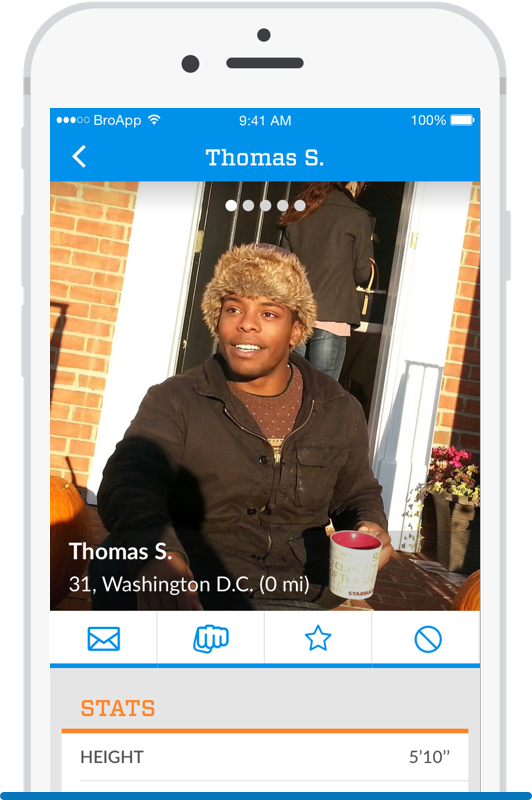 So much better to make friends on and better than those lame hook-up apps. This app is clean and organised and has great features. Great app. Five Stars. It's [a] cool app... The crowd also tends to be younger, fit, and better looking. Friends, Dates, FWB, or More! No judgements here, Bro! 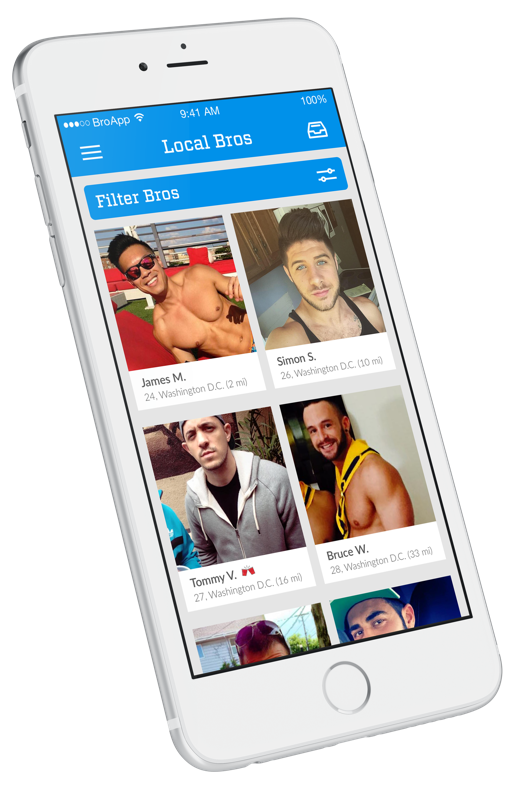 Find Local Bros or use TRAVEL MODE to find guys to chat with in other cities. Use filters to narrow your search. You can chat with a BRO right away or just "Fistbump" them if you're shy. Check out new Bros daily! BRO will show you guys you might be a good match to bro out with based on your interests and Bro Type! Gay, Bi, or Open-Mindedt? It's all here! 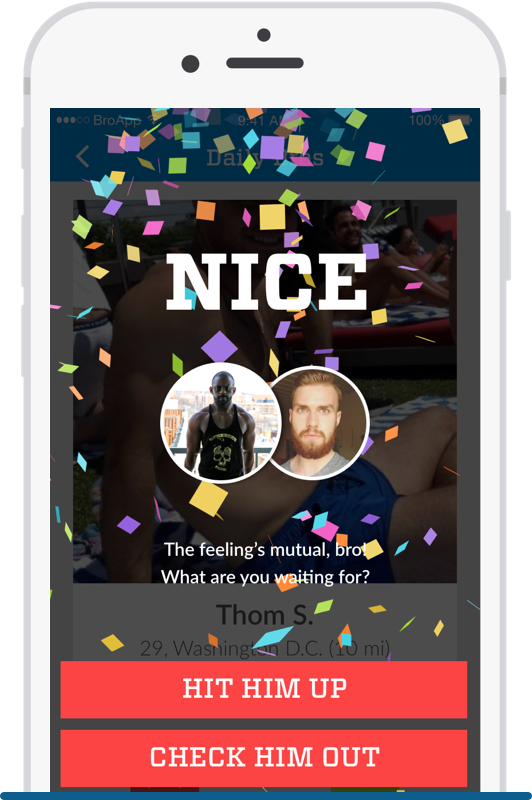 The Bro App (BRO) in the News! BRO gives them permission to explore who they really are. 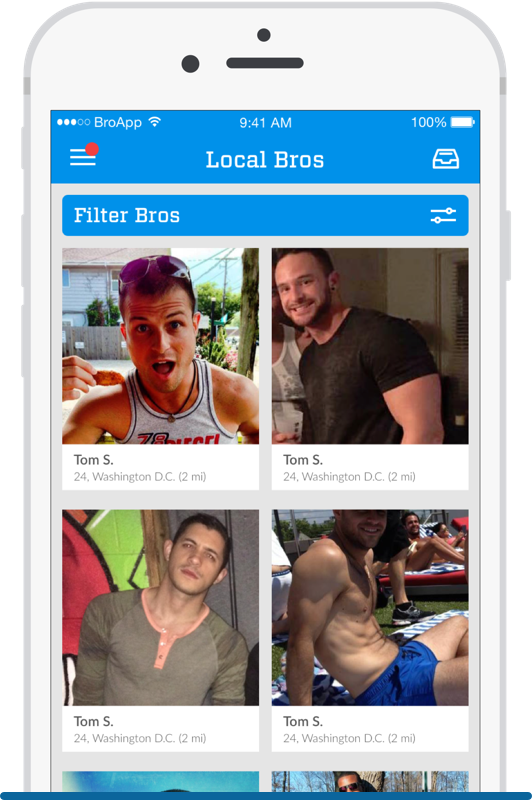 BRO is a place for men that are interested in meeting other men - as simple as that.